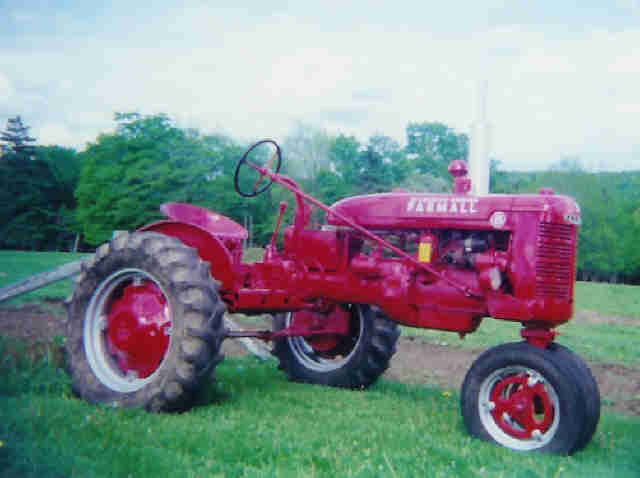 We started collecting Farmall tractors around 1990 when we bought a 1944 Farmall A with cultivators, hillers, and a plow. We now use it for gardening each year. 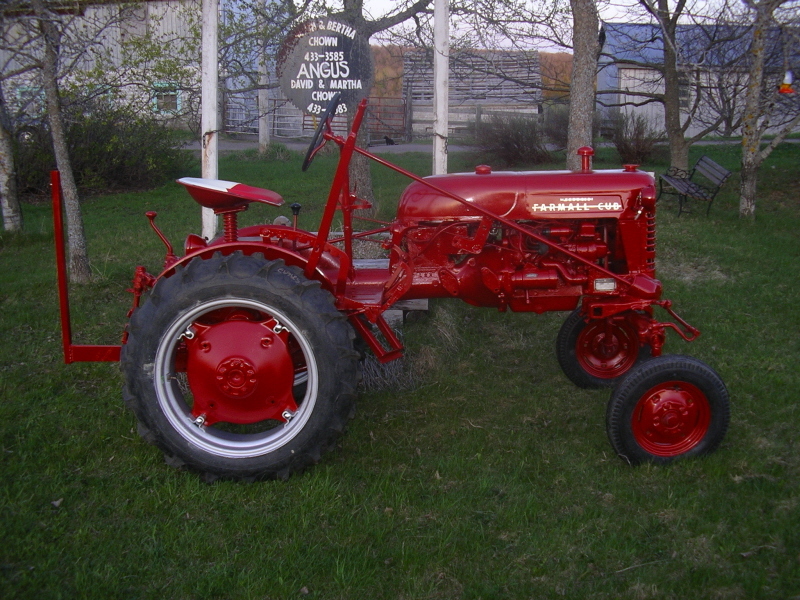 We next restored a 1940 Farmall B. 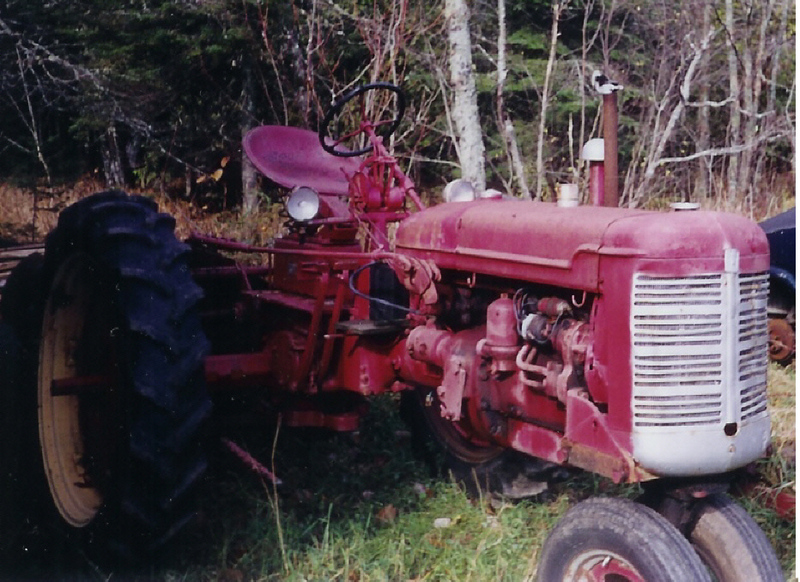 And then a 1952 Farmall H.
Next was a 1955 Cub with “Quick Hitch”. 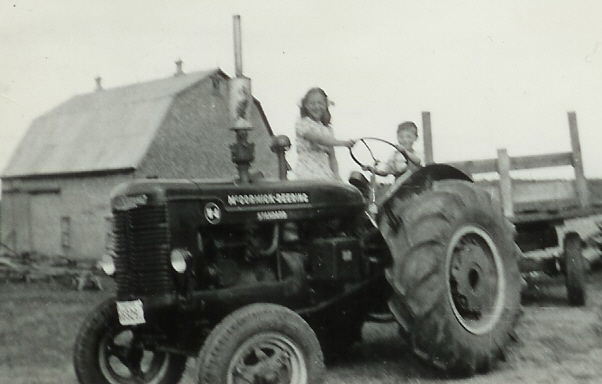 My Grandfather’s first tractor was a 1947 W4, this my Dad and his sister on it in ’47 or ’48. 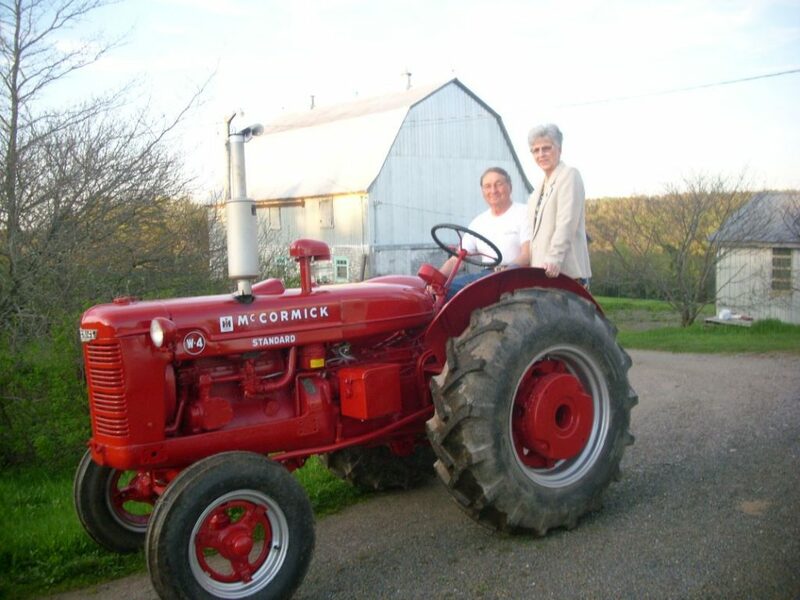 And them again on our 1950 W4 some 60-65 years later. 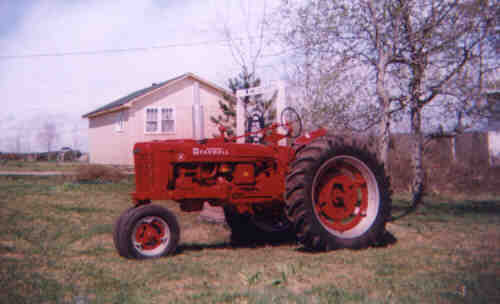 We then restored a 1945 I6 industrial tractor. I have been working on a 1947 BN, one of a test batch of 20,000 A’s, AV’s, B’s and BN’s made at the Louisville plant in 1947. 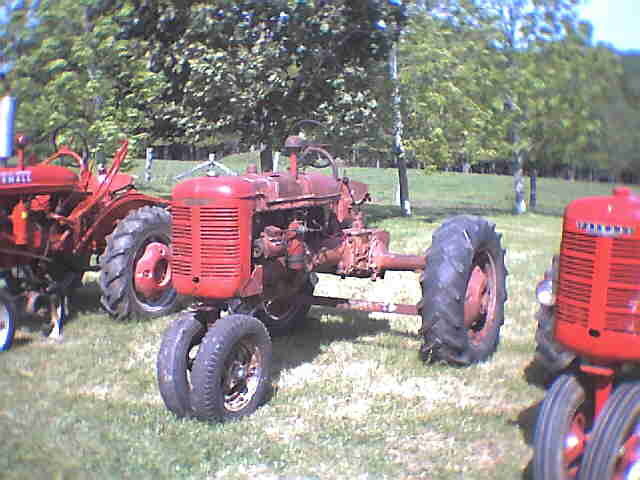 And my son Bailey is working on a 1945 OS4 (orchard Standard). 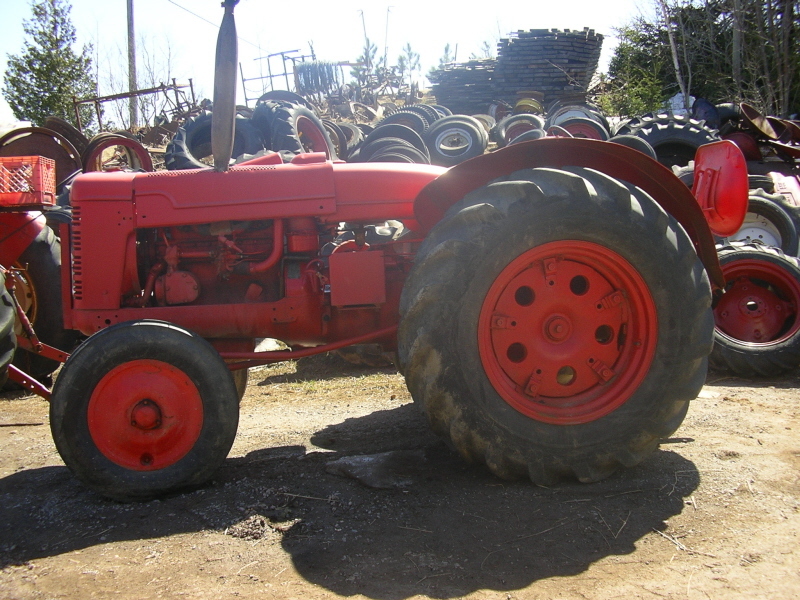 We also have a 1948 C that may get “the treatment” when we get around to it. 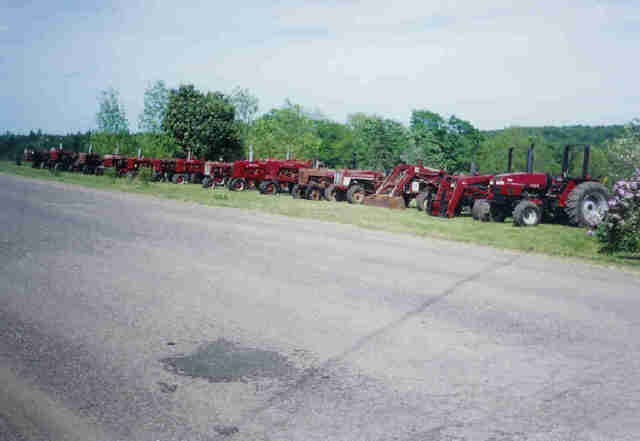 We got all our tractors out to display for a tractor show we hosted in 2004. This was the first time they were all outside at the same time! It made a nice display, but now our wives know how many tractors we really have,, oops!! 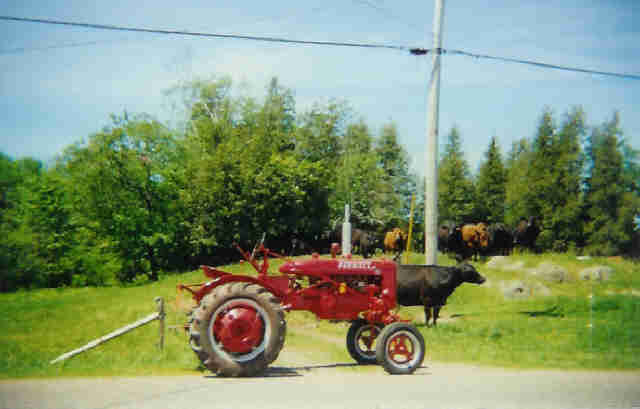 When we sold our cattle we had a (relatively) new barn, not in use, so we started storing our tractors in it. 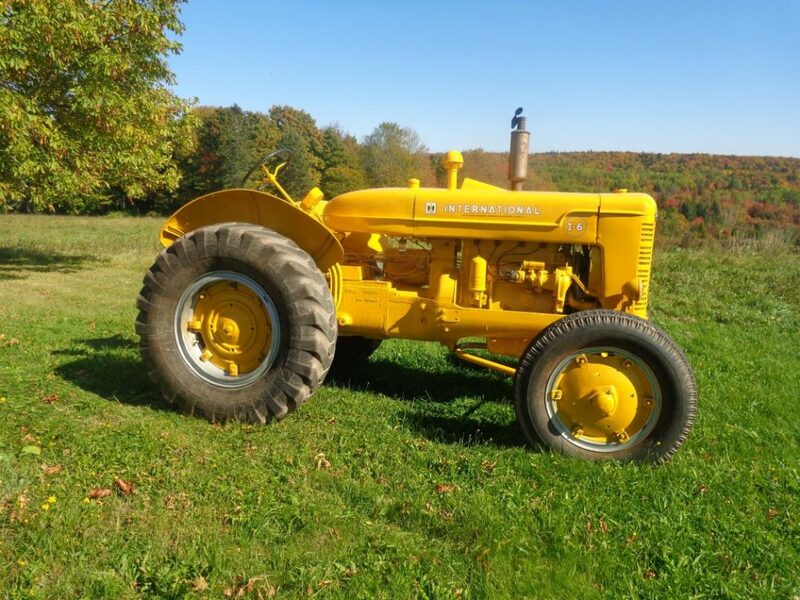 Eventually my father (Alton) turned it into a museum where we show-case our tractors, some old farm and forestry items and my wife’s (Martha) rolling pin collection. If you are interested in a tour of our museum you can contact me (506-434-4811 or email) Or my father Alton (506-433-3585 or email) to arrange a time, or if you are in picking up parts check with us to see if we are available for a tour.